When we had our first daughter we hadn't learned the lesson right away that good quality outerwear was a must when adventuring with little ones. We would just pack on the layers and try our best to get out and hike. It wasn't until it got into the colder months that we quickly learned that we needed to step up our game when it came to this area. I remember the exact time when we decided that enough was enough. We were hiking up Tea Pot Hill in Chilliwack, BC. Abigail must have only been about 7 or 8 months old at this time. It was freezing and we had bundled her up as much as we possibly could with what we had at home. When we stopped for lunch we realized how cold she had been and was getting even colder now that we had stopped! We were both so angry with ourselves that we turned around and started back for the car. After that trip, we vowed that we would take the time and money to spend on outerwear that would be fit for our adventurous hearts. 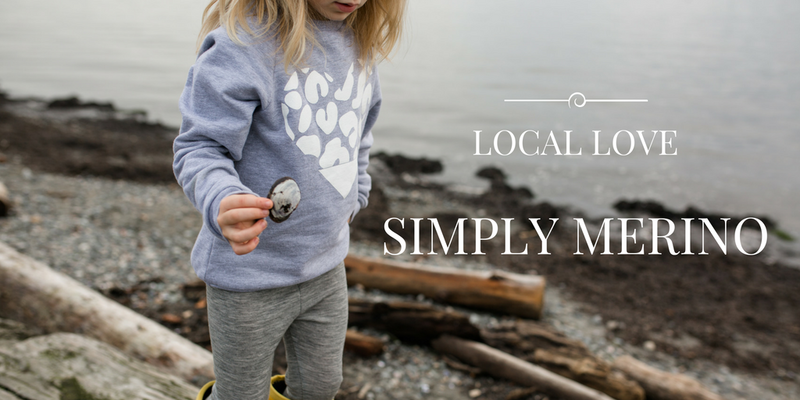 Recently I was contacted by store owner Shannon of Simply Merino. Shannon and her family started this business after they found a passion for dressing their children in the best possible fabric, 100% New Zealand merino wool. They wanted to spread the love that they had found with this fabric to other families and that is how Simply Merino was birthed! Being avid hikers our family knows the amazing qualities that merino wool offers. This wool comes from the Merino sheep and it creates a fabric that is not only comfortable but it also breathes very well while regulating body temperature. This means that it keeps them cool with it is warm out and keeps them warm when it's cool out by wicking away moisture from the body.